Warren City Hall to be lighted in orange in solidarity with Gun Violence Awareness Day. 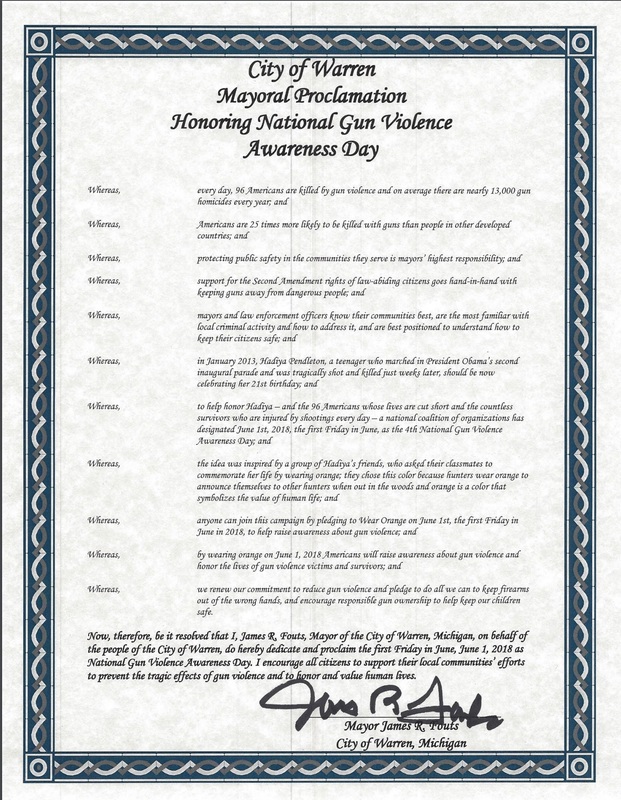 Warren Mayor James Fouts has directed the front of Warren City Hall to be lighted in orange Saturday, June 2 from dusk until dawn to bring public attention to Gun Violence Awareness Day. The Wear Orange Campaign was inspired by friends of Hadiya Pendleton, a 15-year-old Chicago high school student killed by gunfire, who decided to honor her life by wearing orange – the color hunters wear in the woods to protect themselves and others. 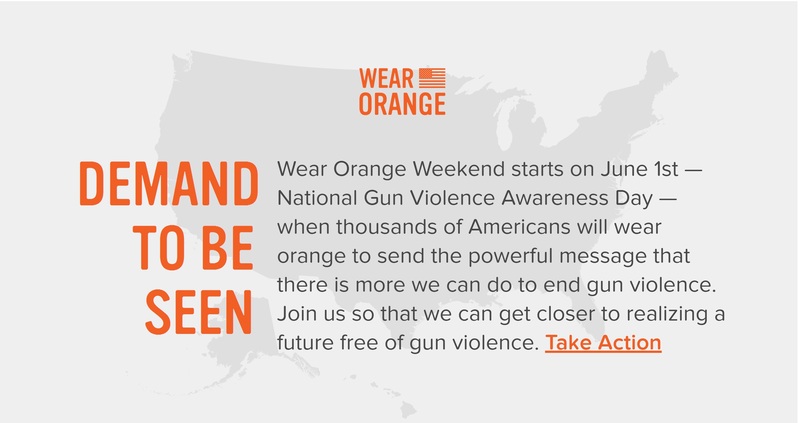 On behalf of all survivors of gun violence, our family and our community, we are moved to see that light has spread to millions of Americans who made their voices heard and chose to #WearOrange with us. ← New proposed bills in the state legislature will take away local control from cities and impede economic development.